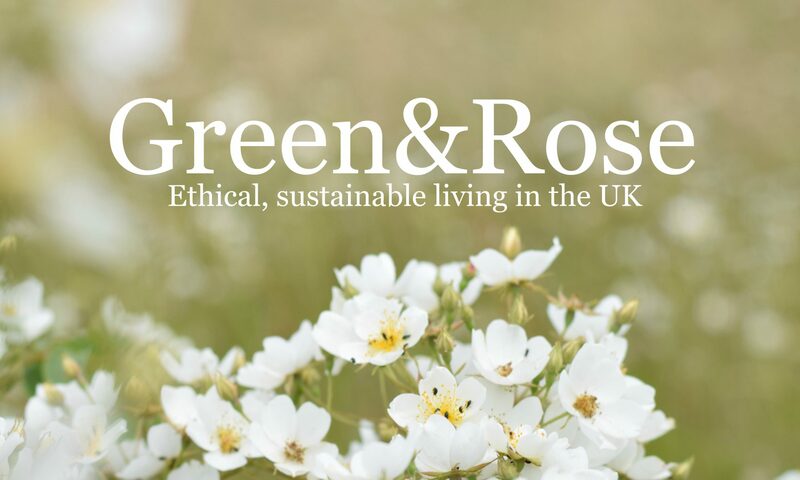 Green and Rose – Ethical, sustainable living in the UK. What is a fruit cake without glacé cherries? Have you ever seen glacé cherries not packaged in plastic? Have you ever looked up the recipe for Glacé cherries? The short answer to all these questions is that glacé cherries are delicious, but often plastic packaged and ridiculously time consuming to make from scratch. Not to be defeated though, when faced with a bagful of fresh cherries from my brother's cherry tree, I decided to pickle them in alcohol instead to preserve them all year long (if they last that long!) and to cut down on my plastic packaged cherry consumption! An honest review of Georganics toothpaste and silk floss based on my own first impressions and experience using it. Toothpaste is a daily essential so it is something we all need to get right and unfortunately the supermarkets do not yet provide the answer. One of the great things about fruit is it's capability to be frozen and still taste as lovely as ever. This effectively extends the life of your fruit harvest by months. I've put together some advice on freezing fruit easily and effectively and a little chart of fruit to expect over the coming summer months. A simple rainy-day project to organise pens, pencils, pain brushes, make-up brushes, chopsticks, cutlery... whatever you want! You just need basic sewing skills, some fabric and an hour to kill. Good to see Waitrose jumping on the bandwagon and ending the distribution of takeaway coffee cups in their stores by autumn 2018. It's a small step but it will go its way to making carrying your own coffee cup the norm, just as carrying a reusable shopping bag now is. It's been about 6 months since I started my challenge not to buy any new clothes for a year unless they were ethical or secondhand. See how I've done and judge for yourself! Not the sexiest of topics but something that we use every single day is our dishcloths! As we don't own a dishwasher we seem to spend half our evenings washing up; when we first moved in we used disposable dishcloths which were made from synthetic fabrics and broke down after only a few weeks and made their way into the bin. Not only is this expensive but it is incredibly wasteful. So I began to think about other more sustainable options. A delicious and very easy recipe for fresh lemon cordial. All you need is lemons, sugar and water.